Ahoy there matey! I'm the Apps Pirate, Garrr! How be you this fine day? You've reached the treasure island, the Pirate's one and only sacred haven for Smartphone, aye! All ye buccaneers out there can feast on me pearls O' wisdom, which I'm glad to share! I'll be handing you first class mobile apps reviews for ye scurvy dogs to enjoy!. So Board me ship you Jolly Roger and let's go on to a bloody adventure! Arrr, this be pleasin' to me eye… Oh, N' keep an eye for me emails lads and lassies, aye? Hoist the sails I'm off to sea! Savvy?! Ahoy there me mateys! I just got back from me latest swashbucklin’ adventure, and I had a great time with the crew. Aye, we had loads of booties and as ye may already know it, we drank rum all night. This bucko still has a little hangover, but don’t ye worry me lads and lasses, I didn’t forget about the app that I will share with ye. In fact, I would be starting it right now so avast ye. 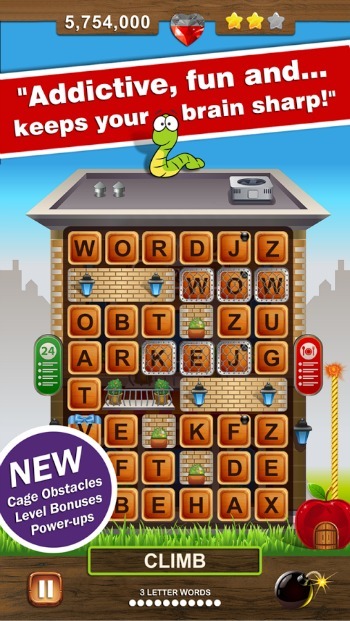 Our app review for today is called Word Wow Big City: Help a Worm Review from DonkeySoft Inc. Batten down the hatches and let’s begin. The graphics of the game is fun to look at because it has nice colors and there are different settings for each level. You wouldn’t just be looking at the same thing for all different stages that you complete. It’s simple to understand making it appropriate for everyone, even for kids as long as they can already spell. It could actually help them with their word skills. Although the basic gameplay is simple, which is to tap on letters to create words and remove bricks, which would help the worm get to the bottom, it’s still challenging as there is a time limit. Plus, there are different obstacles that makes it more challenging. One thing that would motivate you to do better is that there is a world ranking. You would be ranked depending on your points with the other players of the game from around the world. Of course, it would make you feel good to be on top and to do that, you have to do your best on each level. You have to be fast and sharp or the worm wouldn’t be able to make it at the bottom and it would be game over. Since this is a highly addictive game, especially for word game enthusiasts, you would find yourself wanting to play more and more. The good thing is that this game has hundreds of levels. As of this writing, there are 220 levels, plus 30 bonus levels that you could unlock throughout the game. This means that your cravings for more levels would be satisfied. This app is really fun to play and it’s highly addictive. Plus, it also helps sharpen your brain as you are forced to create several words from the puzzle in limited time. It’s also free to download. The drawback is that it has advertisements and you need to make an in-app purchase in order to remove them. 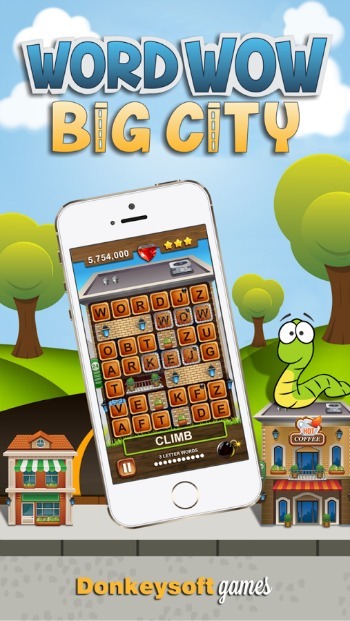 Word Wow Big City: Help a Worm may have advertisements, which is typical on free to play games. However, this can be overlooked especially it’s a fun and brain stimulating game. It’s not just enjoyable, but it could also help sharpen your brain. This is a must try app for all age levels. Ahoy there me hearties! Your friendly app pirate is up again for another booty hunting adventure. Aye, we’ll be diving to Davey Jones’ locker, get some booties and escape death. Har, har, har! Don’t worry ye buckos, we’ve done that a lot of times and we survived! ‘Afore we go there, let me share with ye another app review for this game called Puchi Puchi Pop: Puzzle Game by Happy Labs. Batten down the hatches and let begin. Puchi Puchi Pop has colorful characters and background. There are different pets available that are all adorable. The graphics itself make it inviting because it looks fun to play. The basic gameplay would require you to connect the same characters to gain as many points as you can within a minute. Just looking at the characters would already make you feel happy because of their cuteness. Each of the characters have their own levels and they also have their own special powers that could get you to higher levels. The background music and sound effects are equally fun as the characters. They add life to the game and make it more enjoyable. You would feel more into it with the playful music and you’ll want to pop the pets even more when you hear that sound effect. 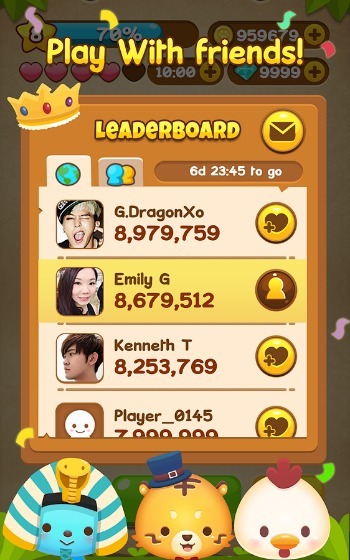 You could connect to Facebook so you could send and receive lives with friends, as well as compete with them at the leaderboard. This would make you want to play more and score even higher, especially if you’re competitive. Although this free app is a fun game to play, connecting same characters is not really a new idea in the app world. Moreover, there’s a game that looks a lot like this one. 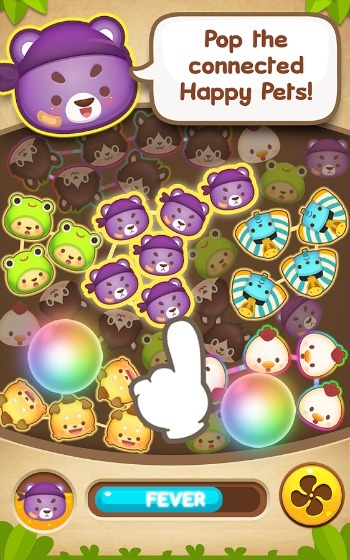 If you’ve played Disney Tsum Tsum before, you’ll see a huge similarity between it and Puchi Puchi Pop. This is something that many players who played the two games notice. 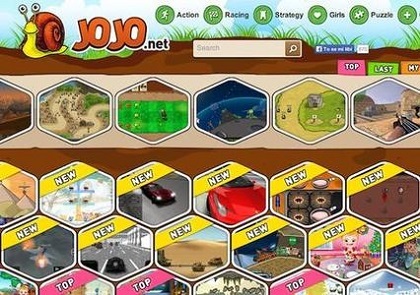 The graphics, background music and sound effects are all fun, which make the game enjoyable to play. It’s also free so you don’t have to spend anything to get it. In-app purchases are available, but you could always disable this option if you don’t want to accidentally purchase anything and keep playing the game without spending money. It’s easy to understand making it ideal for users of all ages. The only drawback for this app is that it’s not really a fresh idea as it’s like an imitation of the game Disney Tsum Tsum. Puchi Puchi Pop is an easy to learn and free app that can also be addictive, especially if you are competitive and would like to beat your friends in any game. 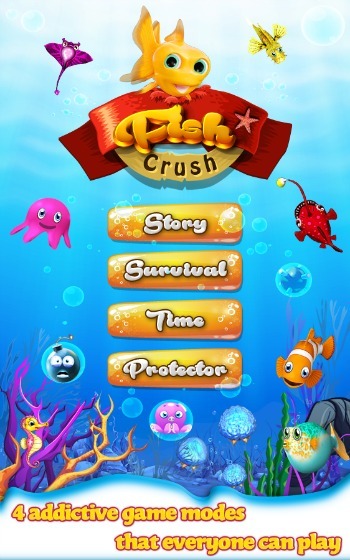 It’s fun and enjoyable with its cute and colorful graphics and lively background music and sound effects. It may look a lot like Disney Tsum Tsum, but if you enjoy that game and you are looking for an alternative, this is a great option. Ahoy there lads and lassies! It’s me, your one and only app pirate bringing you my latest app treasure finds. 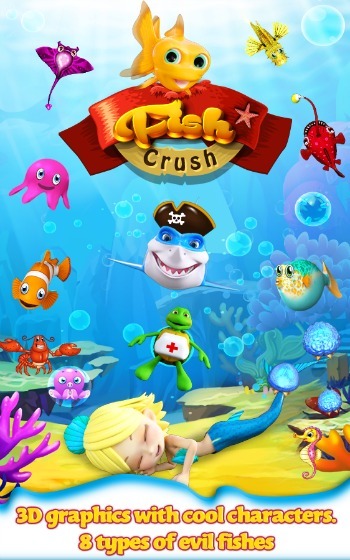 Today I dove deep below Davey Jones’s locker to bring you an app that ye buckos would love. It’s called Fallout Shelter by Bethesda. 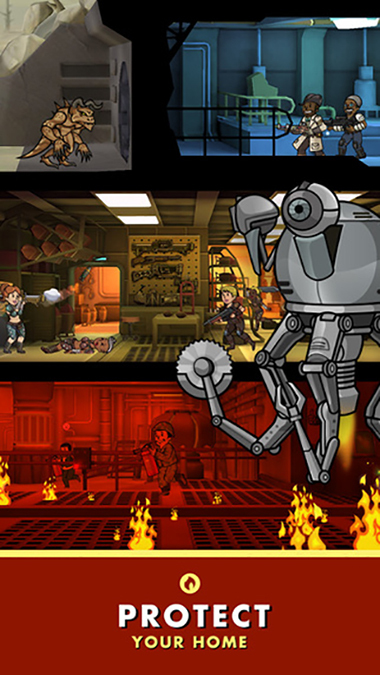 Take control of your vault and ensure the happiness and safety of your dwellers. Learn more about it in this app review. Fallout Shelter is not your usual game, although there are still some features that you would find in other apps, making it still somewhat familiar and easy to learn. The setting and plot is different as the main area is in a vault that’s situated 2,000 feet under the ground. You will have control of the vault and the people, which are called dwellers, that survived the blast that destroyed the surface where people once lived. This will be their new home now and it’s up to you how to grow it and make it successful. Like other apps, there are also items to unlock that can help you in building the vault and make it a happy, safe and comfortable place for your dwellers. Like a real community of people, you’ll also be dealing with personal relationships between couples, who can produce babies that would be a part of your vault. The graphics of this game was really made well. It has a cartoony feel but not too much that it doesn’t look like that it was a game made for younger ones. Think of the characters in “Archie Comics”. It’s what came to my mind when I first saw the characters in this game. The animation of every character is also impressive as every one in a scene is moving, instead of just sitting or standing there until you tap on them. 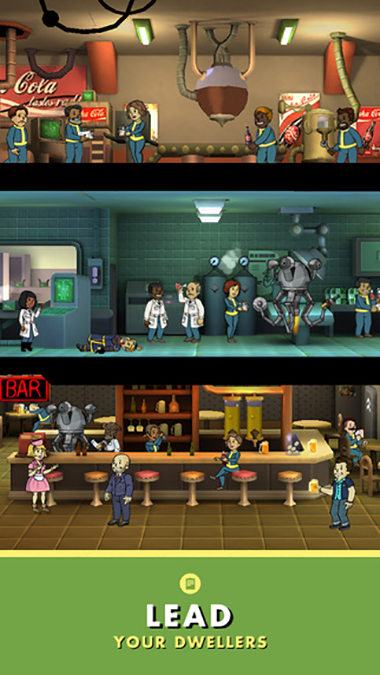 This game can get addictive since you would feel the need to create a nice vault for your dwellers and keep on improving it. You should also get to know each of your dwellers as they have different interests and personalities. This is needed so you can keep them happy, which is part of the game. There’s so much to explore, unlock and do that’s why it’s more likely that you would feel greatly immersed in the game. Aside from being free, this app has fantastic graphics that’s pleasing to the eyes. It’s also nice how there’s so much content to explore, which makes it a game that you could play for a long time. It could take time to unlock levels and various items without in-app purchase so it could be tempting to spend real cash, although it’s still possible to continue with the game without it. Dragging and dropping items may be difficult if you have a small screen. Fallout Shelter is a breath of fresh air in the app world where everything seems to be just a copy of the other games, just with a slight change in the looks of the items or characters. It’s fun and addictive and it would keep you playing for a long time. While it has some drawbacks, it’s still generally a nice game to play so it’s recommended that you give it a try. Avast ye salty Sea Dogs, it be time for another installment for one o’ me ramblings about the gaming world! Gaming be one huge part of modern culture. Everyone loves to have a title to throw around every once in a while, o’ course, not everyone can afford them. Arrrgh, it costs quite a bit of gold doubloons to make a small library o’ video games. Avastthar ye swabbies! Don’t mind this old salt. Me and my fellow buccaneers are happy because of the booties that we got from our last treasure hunt. Yo-ho-ho and a bottle full of rum!!! While we’re having party in our ship, we’re also taking photos that we can share to our landlubber friends. Ahoy, me hearties! Your one and only friendly app pirate is back from sailing the seven seas. Sea navigation is easy for me. I’ve been a cockswain for several years, assisting the captain in our journey to the ocean. But when it comes to land, it’s a different story. It’s very seldom that I stay on land so I’m not familiar with my way there. Even me parrot friend cannot help me either as it’s always sailing on the sea with me. Good thing I have GPS on me Android device. 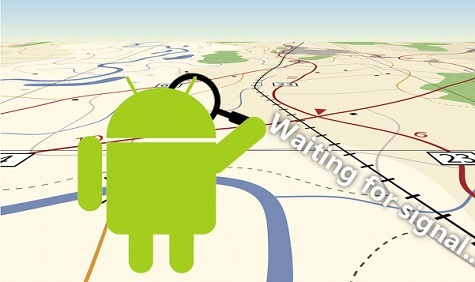 But I’ve had problems with it in the past so I learned a few tricks on how fix Android GPS problems. If ye lads are having difficulties with your GPS, these steps on how to fix Android GPS issue can help resolve your concern.